This morning, Adobe has announced the winner of its “Summon the Terror of Undermountain” contest, in partnership with Wizards of the Coast. 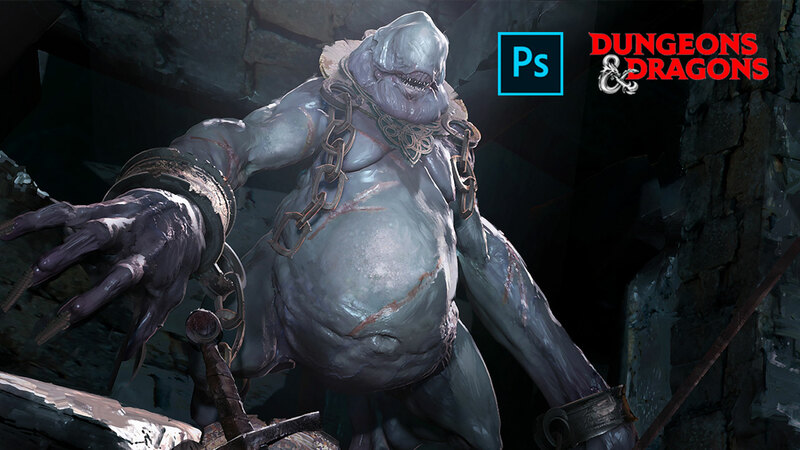 The contest, which asked artists to create a scary Dungeons & Dragons monster using Photoshop, was announced in November. Will Kalkanis was chosen as the winner. He won $5,000 and will sit side-by-side with Wizards of the Coast creatives at the Dungeons & Dragons studios to concept future dragons and beasts together. And the coolest part? His art depiction of “The Terror of Undermountain” will be made into an unpainted collectible! Honorable mentions included Dylan Pharaoh-Whitney, Mad, Thomas Chamberlain-Keen, John Tedrick, Dave Wolf, Toni Bell, Richard Sashigane, Christina Qi, Tiffany Chiu and Cornelius Cockroft. Bryan is a photographer specializing in capturing events, theatre, food/drink and corporate moments. Based in Grand Rapids, Mich., he has worked with clients such as CNBC, Michigan State University, ArtPrize, Steelcase, SpartanNash and more. His work has also been featured by Delta Airlines, NBC, Microsoft, LiveStrong and Pure Michigan. Learn more about Bryan at bryanesler.com.